Thin is in. 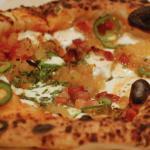 Thin crust, that is. 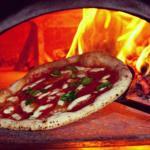 From sit-down restaurants to portable wood-burning ovens to simple take-out orders, it’s never been easier to get a great Italian-style pie around L.A.
“Pizza should be for the people,” said Marino Monferrato, general manager of the huge, loft-like DeSano Pizza Bakery in East Hollywood. With TV screens for watching soccer games and Monferrato’s personal yellow card to jokingly keep customers in line, DeSano serves pizzas with buffala mozzarella flown in directly from Campania. There’s also a beauteous, habit-forming puffed calzone called the gigiotto ($15), filled with buffala mozzarella, rapini, and salsiccia, and dipped in house-made marinara, that should become an East Hollywood staple. 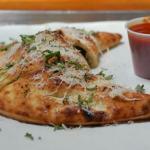 DeSano Pizza Bakery’s gigiotto calzone. The new Prova Pizzeria in West Hollywood boasts Mediterranean-style, sidewalk-watching al fresco dining and the expert hand of head chef Vito Iacopelli (formerly of Michael’s Pizzeria in Long Beach), whose 100-year-old family recipe straddles Bari, Sicilian, and Neapolitan styles. 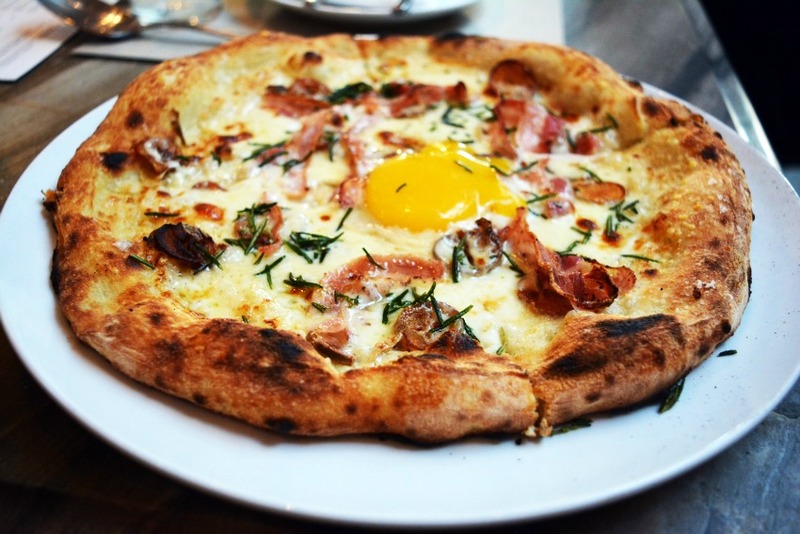 Prova’s carbonara pizza ($13) is like having the most decadent breakfast pizza for dinner, with two custardy eggs that the chefs pierce for you right before serving. 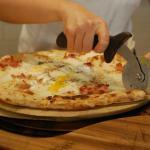 Speaking of great eggs, Love & Salt, the nonstop scene-y, Italian-inspired Manhattan Beach restaurant takes eggs atop pizza to the next level. 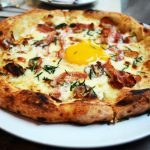 Chef Michael Fiorelli’s gorgeous duck egg pizza with pancetta, potato, and rosemary ($18) oozes with yolk atop the mozzarella and parmesan. Why more chefs are not taking greater advantage of duck eggs is the question that is on everyone’s lips after trying Love & Salt’s most popular pizza. Last and definitely not least is the dedicated-to-the-Naples-tradition Settebello chain. Sitting beneath the indoor/outdoor olive trees in Newport Beach’s Crystal Cove promenade while eating a perfectly executed margherita D.O.C. with buffala ($14) is worth the drive. But if a day trip to Orange County isn’t feasible, Settebello has several locations including restaurants in Marina del Rey and Pasadena. Previous articleThe Breakfast Conversation: The Importance of Mentoring Young Women in L.A.